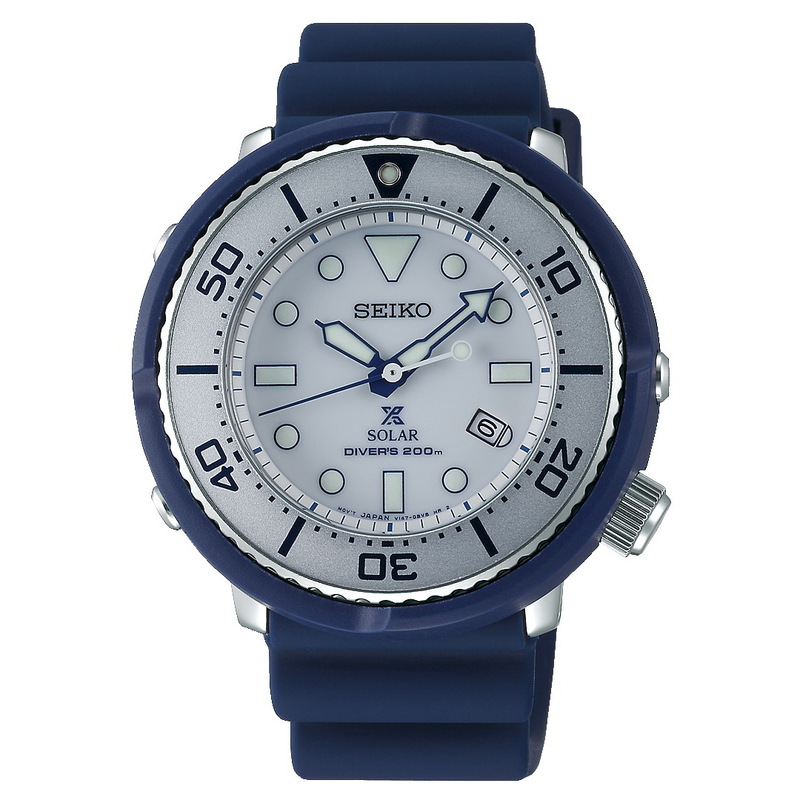 This is the SEIKO Prospex Diver Scuba SHIPS Exclusive Ref. SBDN055, exclusively created as a Limited Edition of 300 pieces for the Japanese fashion retailer, SHIPS. 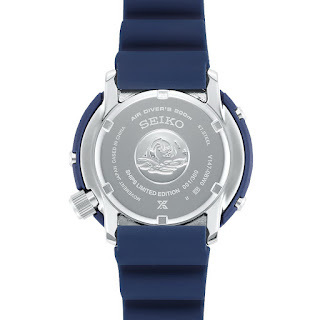 You may remember SBDN037 – this is the same watch save the bezel color. 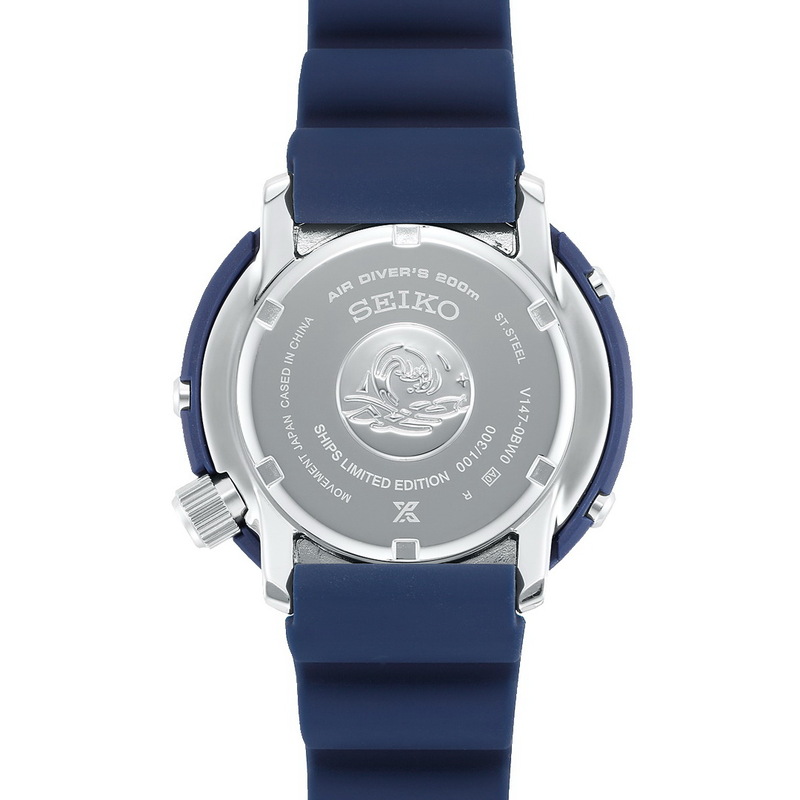 The watch is driven by a Seiko caliber V147 Solar movement with an operating time of approx. 10 months from fully charged and accuracy of ±15 seconds per month. Its functions include: overcharge prevention and quick-start. 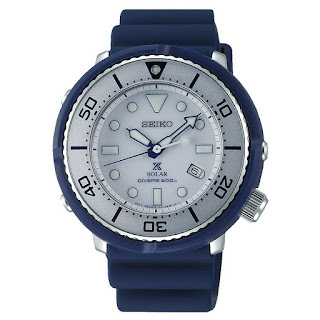 Divers features include: a 200m water-resistant case made from Stainless steel and plastic, measuring 45.5.3mm x 45.9mm x 12.1mm, a screw-down crown and caseback engraved with its LE#, a unidirectional rotational divers bezel, magnetic-resistance, a domed glass, SEIKO Lumi Brite applied hands and markers and a black Silicon divers strap. Its MSRP is 40,000 JPY+TAX.